⚠ California Proposition 65 WARNING: This product can expose you to chemicals which are known to the State of California to cause cancer and reproductive harm. For more information go to www.P65Warnings.ca.gov. 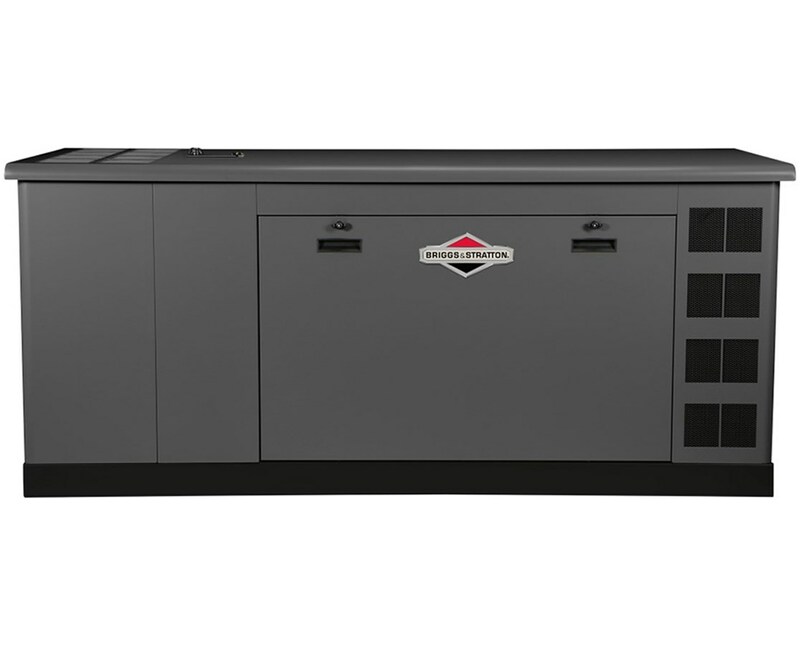 The Briggs & Stratton Single-Phase 48kW Standby Generator System is equipped with a commercial-grade 5,012 cc GM Vortec engine a 5.0L 4-Cylinder engine, operating at 1800 RPM. Featuring the Whole House Power it ensures the generator won’t overload and the distribution of power from the generator is managed efficiently. With running watts of 45,000 using natural gas and 48,000 using liquid propane, it can power luxury home as well as small business power needs. This single-phase standby generator is quiet and fuel efficient. Its fuel consumption at 50% load is 5.5 gal/hr for liquid propane and 429 ft³/hr for natural gas. 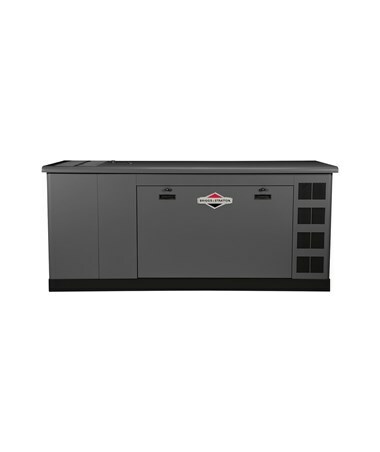 The Briggs & Stratton Single-Phase 48 kW Standby Generator System uses 120/240V AC voltage. Its control panel includes diagnostic alerts with remote system status. It also comes with an hour meter, overcrank protection, and weekly exerciser. 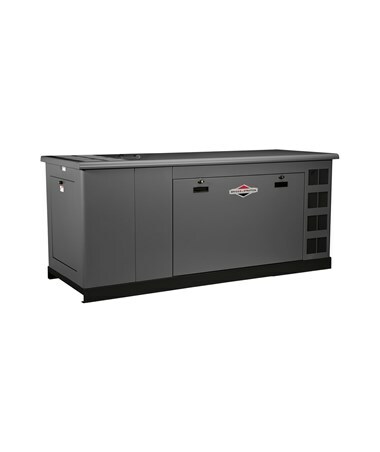 Designed to withstand extreme weather conditions, the Briggs & Stratton Single-Phase 48 kW Standby Generator System is corrosion-resistant and constructed of durable all-metal enclosures. It comes with an overall dimension of 98.5"x 39.5"x 44.5". This generator is listed and rated by cUL 2200 and CSA compliant. It is backed by 5-year parts, labor, and travel limited warranty. Please Note: Tiger Supplies will not ship Non-CARB Compliant generators to California. Overall dimensions 98.5"x 39.5"x 44.5"